Let’s your content shine with this lovely feminine & elegant WordPress blog theme! 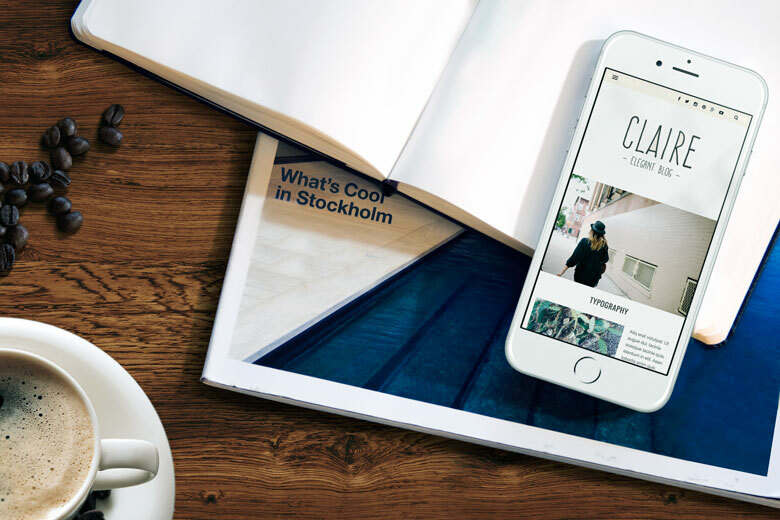 Use its beautiful design and wide range of possibilities to take your website to the next level! 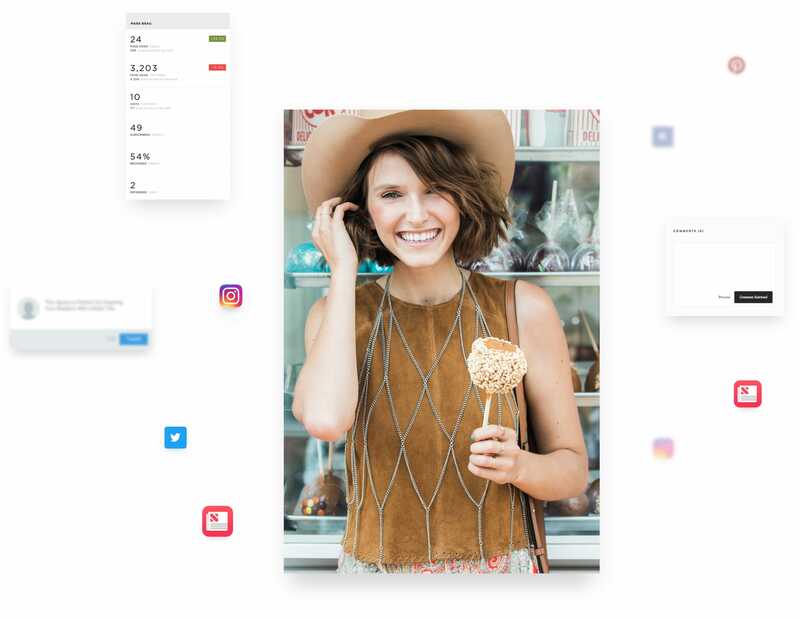 Select different page/post layouts and use numerous other options to create your personal look & feel with just a few clicks. 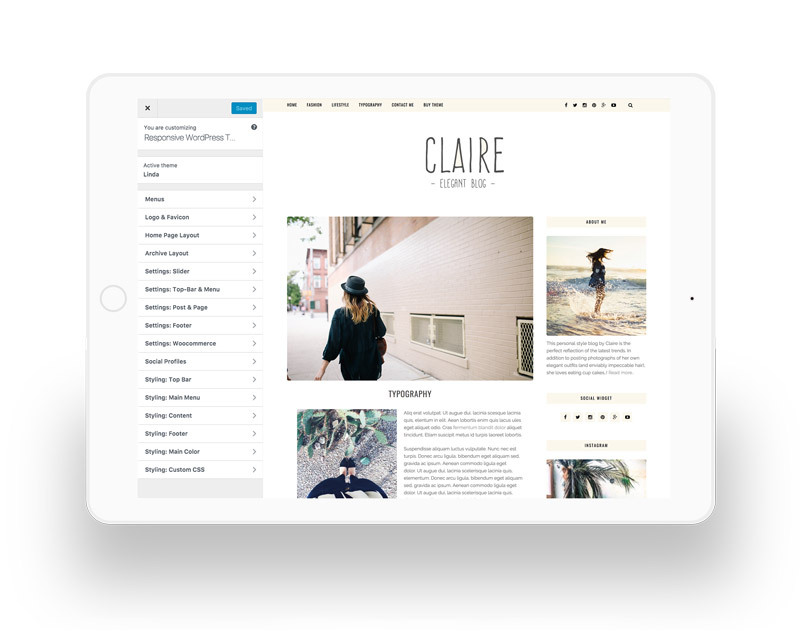 Our easy customizer lets you create your own style and ensures that your blog stands apart from the rest with a unique and stylish design. I really love the theme that ThemesArt Design created. The seller was really fast at responding to all of my questions and needs. I highly recommend this company! I couldn’t be happier with Mark’s services! The theme I purchased already looked lovely (it’s the Claire one), but he helped me get it to look exactly how I desired. I had a lot of questions and inquiries for him and he patiently helped me sort out every single problem I had. He was also super quick to to answer, so it didn’t take much to get my theme up running perfectly! You can check out how it looks at honeyandfigskitchen If you’re looking for a lovely feminine theme, I so recommend taking a look into Themes Art and getting Mark’s help to install it and customise it to your liking. I couldn’t be happier with my theme! Love the service! Fast and super helpful in explaining what i should do and what to consider before purhasing! And of course love the theme !! Words cannot begin to explain how amazing this theme is. So easy, responsible, and wonderful to customize. I love it!! Marcus absolutely impresses me every time! He has a quick turn around when it comes to installing. I recommend him to anyone who is a newbie at starting a blog. I love this theme! Easy to install and customize in a matter of minutes. Looks amazing on ALL platforms!! Beautiful design. Had one minor issue and he helped me solve it right away!